This high quality cotton denim t-shirt by Scotch & Soda bleeds a deep indigo. 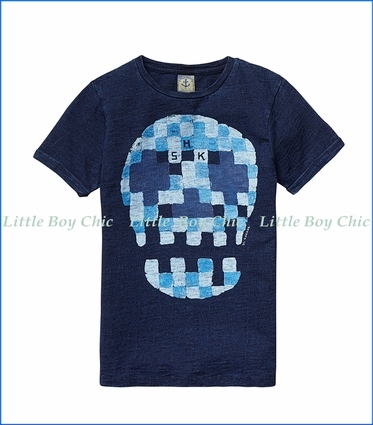 Skull print in watercolor styling and contrasting hues will catch everyone's eyes. Crew neck. Rolled sleeve cuffs. Pair with Scotch & Soda's Slim Fit Chinos with Zip Pockets.